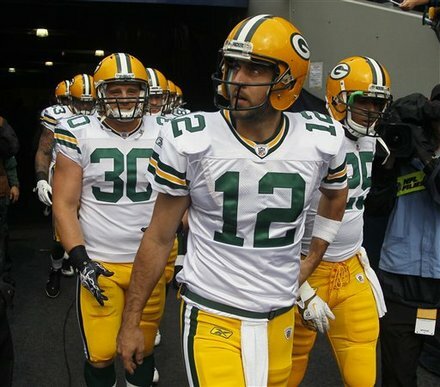 Rodgers’ red-hot start has helped the Packers produce 148 points so far in 2011, breaking the 1945 team’s mark of 140 points through the first four games. Rodgers (1325 passing yards, 12 TD, 2 INT) leads the NFL with a 124.6 passer rating and 73.0 completion percentage, an impressive feat given how much he has spread the ball out. In addition to his first two rushing touchdowns of the season, he completed a touchdown pass to four different wide receivers: Greg Jennings, Donald Driver, James Jones and Jordy Nelson. Jennings (25 receptions, 3 TD) paced Green Bay’s fifth-ranked pass attack with seven catches for 103 yards, Nelson (15 receptions, 3 TD) finished with five for 91 yards and running back James Starks (210 rushing yards, 11 receptions, 1 TD) grabbed five passes for 38 yards while also rushing for 63 yards on 12 carries in place of the injured Ryan Grant (157 rushing yards). Grant could return this weekend from a kidney bruise suffered two weekends ago versus the Chicago Bears, while right tackle Bryan Bulaga (sprained/bruised knee) is questionable after also sitting out last week’s game. Tight end Jermichael Finley (18 receptions, 3 TD) was targeted six times by Rodgers, who was also picked off once, but made just three catches for 28 yards. Rodgers hasn’t turned the ball over much this year, but he will be tested by a Falcons club that has forced a turnover in 23 straight games, the longest active streak in the league. Interceptions by linebacker Curtis Lofton (37 tackles, 1 INT) and safety Thomas DeCoud (19 tackles, 2 INT) last Sunday furthered the streak, with DeCoud having posted a pick in the end zone in back- to-back games. Atlanta ranks 10th against the run and held the Seahawks to just 53 yards on the ground, but is 27th in scoring defense at 26.3 points allowed per game. Cornerbacks Dunta Robinson (19 tackles) and Brent Grimes (18 tackles) should see a lot of work on Sunday night, and the duo is still looking for its first interceptions of the season, though Atlanta has totaled six as a team this year. Safety William Moore (20 tackles, 1 INT) and Lofton logged eight tackles each against Seattle and linebacker Sean Weatherspoon (38 tackles) added seven. Atlanta did not log a sack versus the Seahawks, but defensive end John Abraham (8 tackles, 2 sacks) has one in each of his past three games versus the Packers, including playoffs. Linebacker Stephen Nicholas has missed the past two games with a calf injury and Mike Peterson has been starting in his place. Atlanta brings a more balanced attack into the game, ranking 11th through the air and 19th on the ground. The Falcons did get their running game going versus Seattle, getting 70 yards from Turner (304 rushing yards, 3 TD) as part of the team’s 121 total rushing yards. Quarterback Matt Ryan (1135 passing yards, 6 TD, 4 INT), meanwhile, completed 28-of-42 pass attempts for 291 yards, finding tight end Tony Gonzalez (21 receptions, 4 TD) for a short touchdown and avoiding both an interception and a sack. Ryan has thrown a touchdown pass in three straight games and 21 of his past 23, while Gonzalez has a scoring catch in all three of his career regular-season meetings with the Packers, logging 20 catches for 281 yards over that span. Rookie wide receiver Julio Jones (24 receptions) has proven to be an excellent compliment to Roddy White, setting a career high with 11 catches for 127 yards last weekend and leading the club with 342 receiving yards on the season. White (26 receptions, 1 TD), meanwhile, grabbed six passes for 78 yards. With Jason Snelling out with a concussion, Jacquizz Rodgers backed up Turner at running back last week. The Packers have had trouble defending the pass this year, ranking 31st in the league at 335.8 yards allowed per game through the air compared to 71.0 yards allowed on the ground, but logged three interceptions on Denver quarterback Kyle Orton last week while holding him under 300 yards passing. Woodson’s pick- six moved him into a tie with Darren Sharper for second in NFL history with 11 career interceptions returned for touchdowns, one behind Rod Woodson. Charles Woodson (14 tackles) and safety Morgan Burnett (34 tackles, 1 sack) are tied for the NFL lead with three interceptions each as well. Cornerback Sam Shields (17 tackles, 1 INT) added a career-long 60-yard interception return against Denver and safety Charlie Peprah (9 tackles, 1 INT) also grabbed a pick of Orton. Inside linebacker Desmond Bishop (36 tackles, 2 sacks) was all over the field last week, making 10 tackles while also recording Green Bay’s only sack and forcing a fumble, and both linebacker A.J. Hawk (15 tackles) and Burnett had six tackles. Atlanta’s secondary will need field-wide vision, given that the Packers are the only team in the league with five wide receivers that have made at least seven catches this season. Last Sunday’s win also marked the first time in Green Bay history that four different wideouts caught a touchdown pass in the same game. Green Bay will also need to protect the ball given Atlanta’s ability to cash in on mistakes. The Falcons have eight takeaways this year, turning those miscues into 27 points. Atlanta must avoid getting into a shootout with the league’s top-scoring team. 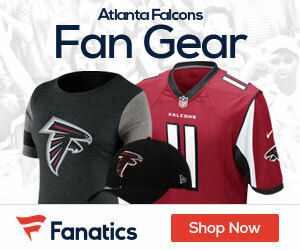 The Falcons are most effective when they can mix in a heavy dose of Turner into the offense, something the 16th-ranked scoring club (22.5 ppg) won’t be able to do if the points come fast and furious.